There are times when you need a temporary solution for a special event or themed attraction. 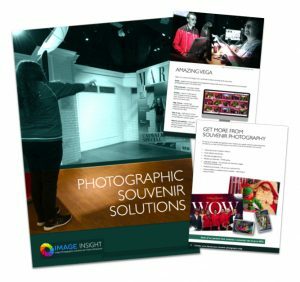 Our temporary solutions are suited to many occasions, including promotional marketing campaigns, brand awareness and guest engagement or simple revenue generation. Our largest temporary solution is Winter Wonderland in Hyde Park each year. We have provided many temporary photo solutions for UEFA from the Champions League Finals in Berlin 2015, Milan in 2016 and Cardiff in 2017 and future solutions are planned following these successes. 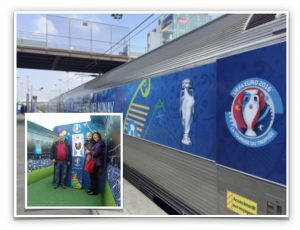 We also supplied UEFA with a Photo Solution for their EUFA Trophy Experience onboard a train which travelled around France. Our temporary solutions still use the same powerful VEGA software so you can be assured that you are getting the same superb system used by many blue chip companies around the world. We are able to supply this solution throughout Europe and the rest of the world. Manchester City Football Club requested a temporary solution when they decided they wanted another set-up in their Market Street Store in Manchester City Centre. They already had a permanent solution in their store adjacent to the stadium but wanted to take full advantage of their central Manchester, Market Street, store location during busy seasons. 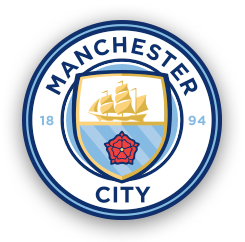 A temporary solution was ideal as it allowed Manchester City FC to maximise on the additional half term visitors and it was also used prior to the Christmas holidays. We were able to provide a solution which proved such a success that they decided to use it again later in the year and there are plans afoot to offer this solution at other venues outside the UK. 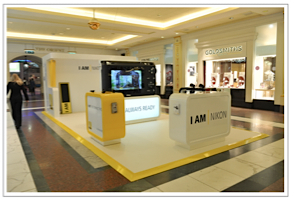 We have also installed temporary photo solutions at many locations around the UK, Europe and even as far away as Las Vegas in the USA.